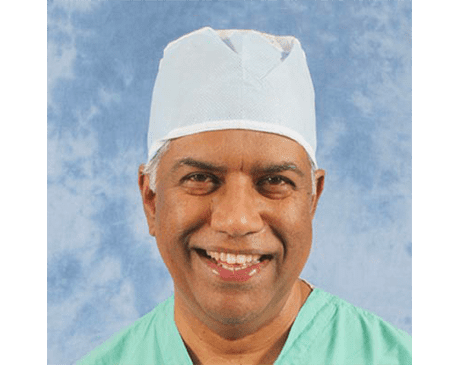 As a board-certified urologist with over 35 years of experience, urologist Perinchery Narayan, MD, is a leading authority on men’s health issues. At North Florida Urology Associates, with locations in Gainesville, Ocala, The Villages, St. Augustine, and Palatka, Florida, Dr. Narayan specializes in treating conditions such as prostate cancer, enlarged prostate, erectile dysfunction, kidney stones, and low testosterone. He offers minimally invasive treatment options, medication, and cutting-edge therapies that include shock wave therapy for erectile dysfunction and high intensity focused ultrasound (HIFU) for prostate cancer, treating urological and sexual dysfunction issues for men and women. Dr. Narayan earned his medical degree at St. John’s Medical College in Bangalore, India. He completed his internship at St. Martha’s Hospital, also in Bangalore. He then served his initial residency in general surgery at St. John’s Medical College. After moving to the United States, Dr. Narayan continued his medical training with internships at Maimonides Medical Center in Brooklyn, New York, and State University of New York Downstate Medical Center. He went on to complete a urology residency at the University of Minnesota Medical Center in Minneapolis. He also completed rigorous fellowship training at the Dana-Farber Cancer Institute and Harvard Medical School. Dr. Narayan has held various teaching positions and has been widely published in medical journals. He also holds patents for cancer detection, kidney stone removal techniques, and NMR coil probes. Dr. Narayan stays up-to-date with emerging technologies and best practices, ensuring he provides his patients with the best possible medical care and outcomes. Ultimately, his goal is to provide excellent care so that his patients can lead healthy, active, and fulfilling lives.